Here are some Windows 8 Keyboard Shortcuts, which you can, use to enhance your experience with Windows 8. Few of the keyboard shortcuts in Windows 8 work with Metro UI screen while few others work only with the traditional desktop screen. Most of the Windows 8 Keyboard Shortcuts work with Metro UI as well as desktop. 1. 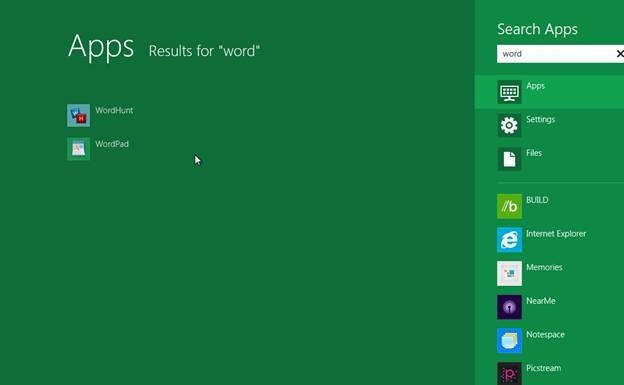 Searching for apps, settings & files: You can use the keyboard shortcut Window Key + Q to search for Windows 8 apps within your system. To search for a setting, you can use the shortcut Window Key + W and to search for a file, you can use the shortcut Window Key + F. If you start typing the search text on the Metro UI screen, apps search will open by default. 2. Window Key + 1 : This Windows 8 shortcut key combination, will open the first program present on the taskbar of the desktop screen. 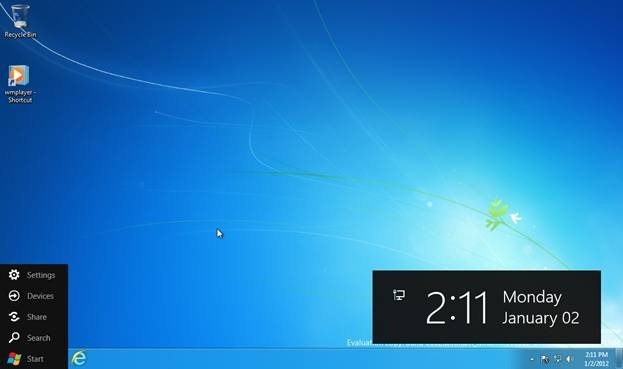 Similarly, Window Key + 2 will open the second program present on task bar and so on. 3. Window Key + Arrow Key : This will relocate any opened window which has focused at that point of time. Depending on which arrow key is used, you can shift the opened window to right or left of the screen also maximize and minimize them. It is not available for the metro UI screen. 4. Window Key + C : This will open the charms menu, and it is available for both metro as well as desktop screen. Also check out our post on Virtual Keyboard in Windows 8. 5. Window Key + E : This will open “My Computer”. 6. Windows Key + L : This will lock the screen. Besides these shortcut keys, almost all the shortcut keys, which were available, in Windows 7 are available in Windows 8 as well.